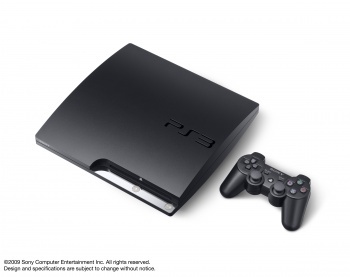 Sony is making a loss on all PlayStation 3 consoles it sells, according to a market research firm. In a recent report from market research and consulting firm iSuppli, Sony is still losing nearly $40 on each PS3 it sells. According to the report, Sony has managed to reduce manufacturing costs to just $336.27, but the $100 dollar reduction in price means that the company is still taking a $37.27 hit on each one. "Since the introduction of the PlayStation 3 in late 2006, Sony has subsidized the price of every console sold, a deficit the company has made up for with game sales and royalties," said Andrew Rassweiler, director and principle analyst for iSuppli. "However, with each new revision of the game console hardware, Sony has aggressively designed out costs to reach the hardware and manufacturing breakeven point as quickly as possible ... in light of these factors, the PlayStation 3 probably is already at or near the tipping point for profitability." This time last year, Sony was making a nearly $50 loss on the PS3, and according to iSuppli, material costs are likely to reduce significantly in 2010.